Get away from every day. Adventure is calling. Adventure North Resort is the place to make base camp while you embrace the adventures and challenges a Northern Minnesota winter has to offer. You will be exhilarated by the crisp air and the bright blue skies while you anticipate your next bite from our warm heated ice fishing houses. You’ll feel as if you’ve been transported with the beauty and quiet. And if you need a break from the outdoor action, we have some great shopping and dining nearby too. 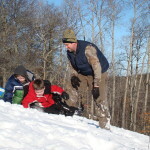 We have plenty of other options: ice Fishing, sledding, snow snowmobiling, skiing or just enjoying nature. See what Adventure North Resort has to offer. Fun for the entire family. 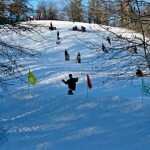 Just a short drive from the resort you will find Shingobee Hill, a free sledding and tubing hill with beautiful views of the valley. 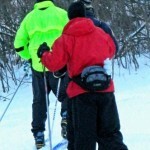 A day trip could include heading to our area's downhill ski hill, Buena Vista. 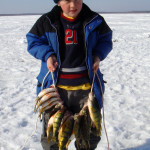 Ice Fishing for Adventure North Resort's guests. A community of heated ice houses springs up in front of the resort every winter where we have our heated ice houses for our cabin guests. Bringing your own portable or wheel house? No worries, we plow a spot on the ice for you to set up. During your stay we clean all of your fish, ready for dinner or travel. Cross Country Skiing and Snowshoeing right outside your door. 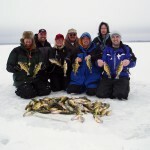 Head out on the shoreline of Leech Lake to see her great beauty on a sunny winter day. 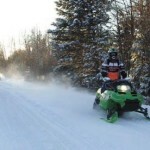 Also in the area are miles of groomed trails in the Chippewa National Forest. 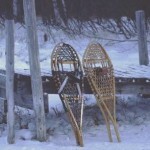 Need to rent snowshoes, head to Itasca State Park and they will outfit your group. 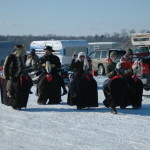 The International Eelpout Festival, Feb. 23 - 26, 2017 - For the past 37 years, and for three days every February, crowds that are more than 10 times the population of tiny Walker, Minn. (pop. 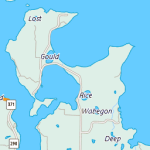 1,069) gather on Minnesota’s third largest lake (112,000-acres), Leech Lake, for a festival named for one of the ugliest bottom-dwelling fish, the eelpout. 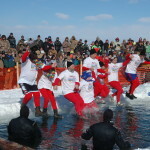 In a state where it is common to embrace the quirky and find great fun in the most unlikely circumstances and weather conditions, this festival is pure Minnesota fun. Thank you for providing such a great facility and atmosphere for my family’s vacation this past week. We all enjoyed it very much. Both the adults and kids stated they all had a great time. The cabin and amenities were wonderful. It’s so nice to not have to worry about packing everything, because everything is already there! Your resort and our lake home were nice and quiet with a great surrounding. Thanks again, I will be recommending your resort to my family and friends with high regards!